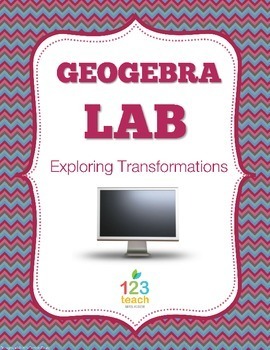 Incorporate technology by using this Geogebra Lab Activity to allow students to explore tranformations. The activity requires students to be on the geogebra website and recording the results for rotations, translations, reflections, and dilations. I created this activity both to incorporate technology and to help my students visualize each of the transformations. Using geogebra gives the students the ability to experiment to see the result of each transformation. 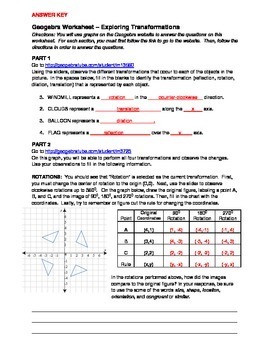 Make sure to familiarize yourself with Geogebra before using this activity, and it will also help if your students have had some experience using Geogebra as well. 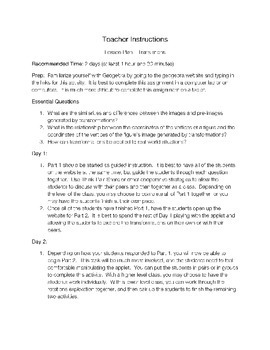 I would recommend either having the students work on this with a partner or individually. With a regular 8th grade class, some students were able to finish in about 45 minutes, but the majority of students needed about twice that time.